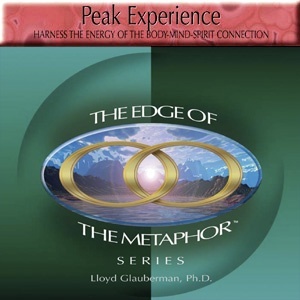 Utilizing Dr. Lloyd�s Glauberman�s revolutionary HPP method, this program gives you the ability to more intuitively respond to the above-mentioned areas of your life. You can expect to find yourself more relaxed and energized, more fully able to participate in all that life has in store for you. At any moment in time we have the opportunity to change the trajectory of our life and have the next chapter in our own personal story be better, brighter, and more productive. Put yourself on the best path with Peak Experience. I still have not received this. I sent two emails asking questions and never received a response. Then I sent a third inquiring about my order and then it shipped but I have not received it. I love both the products. They really seem to work. I'm very spiritual and am looking for a way to hear the Holy Spirit in my mind or heart. I wish you had a product that would help with that. Not a product that would help with issues in this world, but one that would help hear guidance from an "other worldly" source.